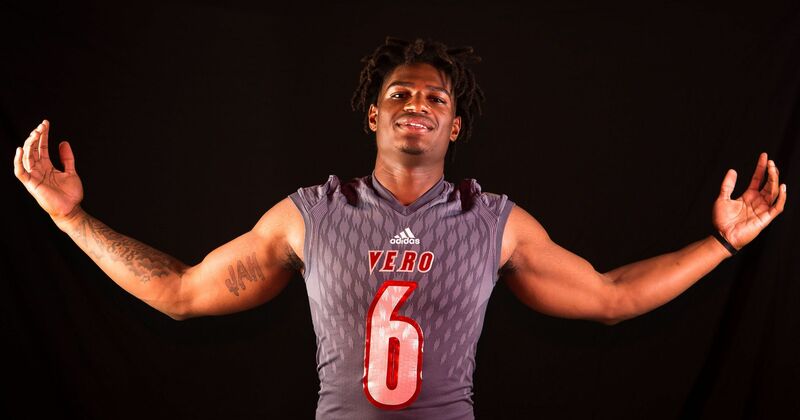 The Miami Hurricanes added a pass rusher to their 2019 recruiting class with Vero Beach defensive end Jahfari Harvey announcing a commitment on Wednesday night. The 6-foot-3, 215-pound three-star prospect wrote a first-person story for TCPalm.com and later tweeted. 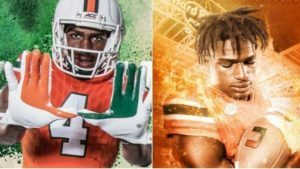 Harvey chose UM out of a list of 21 offers, which included Georgia, Michigan and a first offer from Mississippi State, one he said in his piece was a special one for him to obtain. An initial visit to Coral Gables made an impression on him. He added that last time he went to UM on Saturday, he took his family and a former high school assistant coach, and they were all treated like family by the Miami staff. Harvey is the 35th-ranked weakside defensive end by 247 Sports. Before transferring to Vero Beach for his upcoming senior season, he tallied 91 tackles, 12 sacks and scored two defensive touchdowns for Fort Pierce John Carroll Catholic as a junior. Harvey is the third defensive end to commit to Miami for the 2019 cycle. He joins a pair of Broward County prospects in Chaminade-Madonna’s Cameron Williams and St. Thomas Aquinas’ Jason Munoz. With 16 commitments, UM’s 2019 class is ranked fourth nationally by Rivals and seventh by 247.